Make sure transmitter fobs and bypass cards are out of range|closed. Make sure transmitter fobs and bypass cards are out of range (they are still in range if status LED is blinking only blue) *** When the Status LED is blinking only blue, this means it is reading the fobs and the system is disarmed, when testing in a garage or shop you can get an extended range because the RF signal is bouncing off the walls and tool boxes. You may need to bring the Fobs more than 10 ft. away or stick them inside of a metal tool box. Make sure PKE Module has power and ground *** Test at the Module to make sure the PKE Module is receiving 12V and a good ground. Make sure all harnesses are plugged into PKE Module *** The PKE Module has 6 spots where you can plug harnesses into them, all of these should be filled, if you are missing a harness that could be the solution for the issue, check the box and make sure you did not forget to hook something up. NOTE: one of the harnesses is a Y Harness, two antennas plug into this. Make sure door locks are hooked up properly *** Wiring into Factory power door locks- Make sure you did not reverse our lock and unlock wires, Blue is unlock, Green is lock. If you are wiring in your own door locks, check your circuitry and your actuators. Make sure ACC on detect is hooked up to our ACC2 wire on the PBS Module, this wire should not have 12V on it at this time *** Our ACC on detect wire should be hooked up to the yellow ACC2 wire on the PBS Module, this wire should only be at 12V when ACC2 is turned on. If it detects 12V the PKE Module will not passively lock or unlock the doors. Ensure that both Authorization wires (purple wires) one from our Pke module and one from our PBS module are connected to each other *** Make sure these wires have a good connection to each other, this is a data connection for the two modules to communicate to each other. Make sure the Start Button is securely plugged into the PBS Module ***The Start Button should be firmly plugged into the PBS Module, ensure the housing on the PBS Module has not been pulled loose, or this will cause a bad connection, if the housing has been pulled lock press it firmly back in place with your thumb and plug the Start Button back into the PBS Module. Make sure PBS Module has power and ground *** All of the power for your vehicle is running through the PBS Module, it is HIGHLY recommended to get your power and ground directly from the battery. Check for 12V at the module as well as ground. Make sure antennas are plugged into the PKE Module*** Make sure the Bypass Antenna is plugged in with the pigtail directly into the PKE Module, the main antennas are plugged into the Y Harness that is plugged into the PKE Module. Make sure batteries in fobs are over 3.0V *** Our Fobs use a CR2032 Battery, in order for these fobs to work correctly they must see 3.0V coming from their batteries, pop the batteries out of the fobs and test them with a multi-meter, if they are reading 2.99 or lower they are no longer a good battery. NOTE: You must test them with a Multi-Meter, the LED on the fob lighting up when you press a button does not indicate the battery is good. Ensure the black antenna sticking out of the back of the PKE Module is not wrapped around around other wires or touching metal *** This Antenna is the receiving antenna for the system, it is very important to not have this wrapped around wires or touching metal, this will dramatically reduce the range of the fobs. Make sure Antennas are not touching metal *** Make sure the Antennas are not touching metal this will dramatically reduce range. Check for breaks in the Antenna wires *** Check to make sure the Antenna Wires are not broken, even a little cut in the wire with copper stick out can and will dramatically reduce the range. Check to make sure the ACC2 wire (Yellow) is hooked up *** This wire is used to turned on a set of accessories independently from the ignition, similar to that first turn of the key, typically this is wired up to power your radio. NOTE: This wire drops our during cranking. Check your Ignition Wire and make sure it is hooked up*** Make sure this is hooked up to your ignition wire, this wire does not drop out during cranking. Check your ACC 1 Wire and make sure it is hooked up *** Use this wire to power other accessories with the ignition. NOTE: This wire drops our during cranking. Check to make sure that when you depress the brake our Brake Wire (Brown) is receiving 12V *** Make sure that whenever you depress the brake (whether the ignition is on or not) that this wire receives 12V. Check to make sure both the PBS modules brake wire and the PKE modules brake wire are receiving 12V whenever the brake is depressed. This is used to control whether you want to start the car, cycle through ACC/IGN/OFF, or shut the vehicle down when it is running. When installing on a Toyota you need to wire in a relay so that ACC1 does not drop out during cranking, otherwise the vehicle will not run, please see the ikey Toyota ACC1 Diagram to address this issue. Check and make sure our Starter Wire (White) is hooked up *** This is the wire that tells your starter to crank, make sure this is hooked up properly. Make sure you're using a Data Module/Bypass Module if your vehicle needs it *** Some vehicles need Data Modules or Bypass Modules to interface with the vehicles, these are used in vehicles that came with "chips" in the key. If you are unsure if your vehicle needs one please give us a call at 877-246-5393. Make sure you are powering the Data Module with our Grey Wire. Make sure you are powering the Data Module with our Grey Wire. *** If you are using a data module make sure you are controlling it with our small gauge grey wire, this wire turned the data module on half a second before the unit cranks the starter. Check and make sure vehicle battery voltage is 12V *** Check to make sure your vehicles battery is at 12V, Use a Multi-Meter. While pressing button to crank the motor, make sure our white Starter wire is putting out 12V *** Test our white wire while you are attempting to crank the motor, our white wire should be putting out 12V while attempting to crank. Check Vehicles Starter Relay*** Check to make sure you have a good Starter relay in your vehicle. Both ACC1 and ACC2 drop out during cranking, make sure neither of these wires have anything crucial to the vehicle start and running hooked up to them. *** Both accessory circuits on our unit drop out during cranking, make sure you are not powering your fuel pump or anything else crucial to the engine starting and running on these wires. (iKEY RS) Reprogram tach signal higher *** You may have programmed your Tach signal too low, if this is the case go back into tach learning mode and relearn the tach at a higher RPM. (ikey RS) Make sure you are getting your tach signal from a source we have listed on our tach learning pages *** Our unit needs to see a strong Tach clean tach signal, make sure you are getting a tach signal from a source listed in our manual, if you are getting the signal from somewhere else, the signal may be not be strong enough. Reprogram Tach Signal, when doing so give the engine time to come to a low idle *** Reprogram the tach at a lower RPM, let it come down to its resting idle before exiting tach learning mode. Make sure door locks are hooked up properly *** Wiring into Factory power door locks: Make sure you did not reverse our lock and unlock wires, Blue is unlock, Green is lock. Wiring in your own door locks: Check your circuitry and your actuators. Make sure transmitter fobs and bypass cards are out of range. Make sure ignition/acc are powered off *** You should not have any dash lights on and your Status LED should be blinking blue-red-blue. If it is not get in the vehicle and press the start button once, your ignition will come on at this time point, one more press will turn it off. Check Neutral safety wire, make sure it is going to ground when the vehicle is in neutral *** This wire needs to be see a ground in order to let the remote start engage. Check Wait to start wire, if this is not a diesel vehicle it should be capped off. *** This wire is hooked up to your wait to start light for diesel applications, to give the glow plugs time to heat up. Check to make sure you are within 100 FT of vehicle move closer to vehicle and try again *** Range can vary greatly depending on environment, you may be change in range depending on what is near you or the vehicle even weather can affect the range. If this is an older vehicle make sure the receiving antenna is not completely block by metal *** The receiving antenna is the small black wire sticking out the back of the PKE Module, on older cars with metal dashes do your best to make sure this antenna is not surrounded by metal, or other wires as this can dramatically reduce range. The Range on my key fob has decreased. We recommend changing your batteries once a year, the batteries must have a voltage of no less than 3.0Volts. If the batteries are at 2.9 Volts or less they are no longer a good battery, you will experience a decrease in range. I came back from vacation/Holiday and my range was less than 5 feet. If they ikey system does not detect use in 5 days it will reduce its range to preserve battery life, every 5 days the system will reduce its range to preserve the life of your battery. Simply press the UNLOCK button on your transmitter and the range will readjust. The Key fob’s LED still lights up do I still need to replace the battery? The LED on the key fob requires very little power to light up, The best way to check to see if your battery is still good or needs to be replaced is to unscrew the screws on the back of the fob, pop the battery out and use a Multi-Meter to test the battery, it should be at 3.0-3.3Volts, if it is any lower it needs to be replaced. This is the system telling you that your vehicles battery is low; the ikey system requires your vehicles battery to be at 10 Volts + in order to operate correctly, if your battery is below 10Volts the system will reset itself. The ikey LED will blink Red-Blue-Red-Blue even while you are inside the vehicle. Make sure the antennas are plugged in correctly and that you did not accidently plug in the bypass antenna into the main antenna harness, Ensure that the antennas are not touching metal. The antennas are a sensitive component, make sure you do not tear the jacket protecting the wires, if the wire is broken and a strand is touching metal the antenna will need to be replaced. Do NOT wrap the antenna wires around a bunch of other wires, this will cause a reduction in range from interference. This is due to the “ikey not found reminder”, this function can be turned off by looking in your owners-manual, page 4 item 5. When your door is opened and closed such as letting a passenger out of the vehicle and then the system sees an input on the brake wire the system will search for a key fob, if one is not detected it will beep twice. The key fob may be inside the vehicle but out of range of the antennas. The Ignition and accessories are stuck on. Simple Answer: The unit is stuck in “Run” mode, walk it through a shutdown sequence to reset the unit, to fix it press and hold the brake, press and hold the start button for about 1.5-2 seconds and everything will shut down. Long Answer: The system is very sequence oriented since we do not monitor a Tach signal. The system was at some point walked through a start sequence, so the module believes the engine is running, to fix it press and hold the brake, press and hold the start button for about 1.5-2 seconds and everything will shut down. The Ignition and ACC circuits will come on but the car will not crank. Make sure your key is snug in the bypass module, ensure there are not any cuts or breaks in the antenna wire going up to your key switch. If when you depress the brake the start button DOES NOT blink, check your brake wire connection, our small gauge brown brake wire needs to receive 12Volts when the brake is depressed. 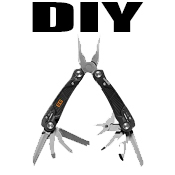 The iKEY-M has been designed specifically for the DIY enthusiast. A highly detailed and comprehensive install guide combined with a pre-assembled wire harness makes installation clear and straight forward. Critical ignition connections are made using a Plug & Play harness with factory connector attached. Additional Accessory connections are all made at a single kick panel location with factory color matched / cut to length wires using 3M quick connects. Our innovative design allows even someone with only modest installation experience to dress up their pony with this sizzling accessory.